For our second year, we’ll be visiting London and Bristol over four days; 12th, 13th, 19th and 20th May. Join us for one of twelve vegetarian cookery demonstrations hosted by the multi-talented Jay McGuiness – The Wanted star, vegetarian and keen cook who has his own vegetarian lifestyle book lined up for future release. 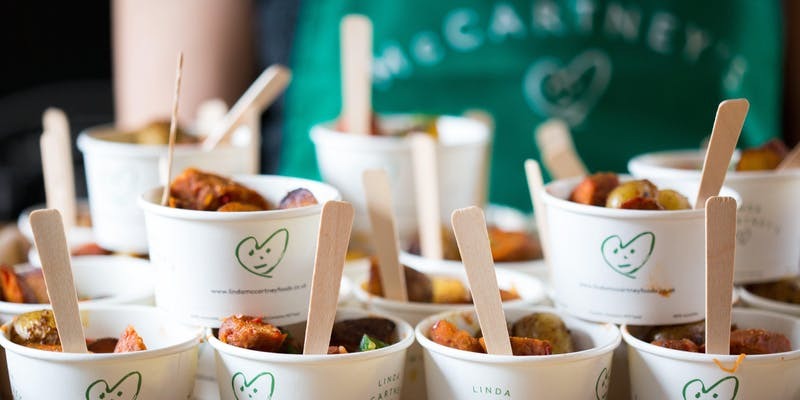 Vegetarians, vegans and meat reducers alike will be invited to relax and mingle in Linda’s Lounge while enjoying a selection of delicious mocktails and meat free canapes, before Jay and the Linda McCartney’s in house chef take centre stage. Cooking up a variety of delicious recipes, the duo will be on hand to answer your meat free questions and showcase the versatility and flavours that can be enjoyed as part of a vegetarian, vegan or flexitarian diet. Please note that there, unfortunately, will not be gluten-free options available at the event. All proceeds from the event, exclusive of booking fee, will be donated to The Trussell Trust (Reg Charity in England and Wales: 1110522).